Currently we have the most updated Nok Air coupons among the other discount sites and we also update the deals based on fb, tw, ig, and more. Go to nokair.com and paste the code while checking out. Code copied successfully. Paste at nokair.com. Never miss Nok Air deals. Get email alerts. Discount automatically activated by following the link to nokair.com. Not sure? 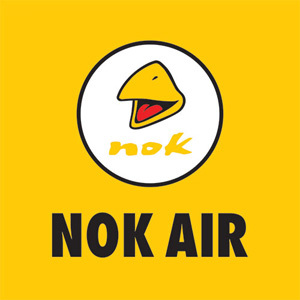 Nok Air is a well known Thailand's budget airline company that offers one of the largest domestic services in Thailand. Nok Air offers flight destinations to China, Vietnam, Singapore, Myanmar, and to cities like Koh Samui, Bangkok, Visakhapatnam, Vizag, Koh Tao, Mae Sot, Koh Phangan, Vientiane, Koh Lipe, Phuket, Yangon, and more. When booking, you may enter Nok Air promotion code or coupon voucher in order to enjoy special discount, free wi-fi, free snacks, and many more deals. Time to Travel Promotion starting from 700THB! Promotional price start from 700 THB net / one way / person for Phuket, Ubon Ratchathani, Trang, Khon Kaen, Surat Thani, Buri Ram, Krabi, Ranong, Chumphon, Nakhon Phanom, Chiang Rai, Chiang Mai, Hat Yai, Nan, Loei, Roi Et, Phitsanulok, Udon Thani, Nakhon Si Thammarat, Sakon Nakhon, and Udon Thani - Ubon Ratchathani Routes. Simply purchase Nok MAX or Nok X-tra and get exclusive offer from Royal Orchid Plus (ROP) after you fly. Up to 45% OFF on the latest promotions! Check out the latest promotions by Nok Air, the link provided will send you to the right page! Here is the link for you to search for Low fair of Nok Air flights, keep this secret! Keep hydrated when fly with Nok Air, Get FREE Drinking Water! Request Nok Air Coupon Voucher up to $100! Review and Win! 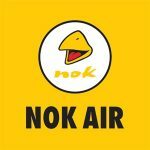 Win FREE Voucher for Nok Air! Don't waste your time at check-in, just grab your stuff and board the plane! Free onboard wifi (available on 5 aircrafts). Expired Nok Air discount codes - They might be expired, but some of them may still works! Nok Air passengers will receive promo code in booking confirmation email. When booked the tickets via www.nokair.com , m.nokair.com (mobile website), iOS Application ( iPhone / iPad / iPod Touch ) , and Android Application. Eligible for Nok Air passengers booked the ticket in Chiang Mai, Chiang Rai, Khon Kaen, Udon Thani, Ubon Ratchathani, Phuket, Hat Yai, Surat Thani, Krabi, Nakorn Si Thammarat, and Buriram Routes. User must fill in received promo code before booking a service. Valid for all JustGrab, GrabCar, GrabCar Plus, GrabTaxi, GrabBike (Win), and GrabExpress rides in Thailand. 10 % off on food and beverage. Promotion Period: 25 Aug – 31 Dec 2018. Nok Fan Club and Siripanna Villa Resort & Spa, Chiang Mai offers special deals for check in at Chiang Mai. Get special privileges that will make your journey more enjoyable. Simply show Nok Fan Club card or Nok Air boarding pass at Siripanna’s participating outlets from now until 31 December 2018. Nok Air and Grab give you a special surprise for Grab users (Platinum and Gold). Win free roundtrip ticket from Nok Air for flying to 4 destinations in Thailand; Chiang Mai, Khon Kaen, Phuket, and Hat Yai. Just use 100 GrabRewards points to redeem a chance to win the ticket from 19 Nov – 16 Dec 2018. Year-End Grand Sale from 590 THB! NOK Air Promotional price start from 590 THB net / one way / person for Phitsanulok, Udon Thani, Ubon Ratchathani, Surat Thani, Buri Ram, Krabi, Trang, Khon Kaen, Phuket, Chumphon, Nakhon Phanom, Roi Et, Hat Yai, Loei, Sakon Nakhon, and Nakhon Si Thammarat Routes. For KTC Credit Card owners: Get 200 THB Discount at Nok Air. KTC credit card member gets exclusive reward from Nok Air, when redeem only 9 points of KTC Forever Rewards via Application “Tap KTC”. Special ticket discount 200 THB for booking via www.nokair.com from now until 30 Nov 2018. Nok Air Halloween Promo: Special Discount 100 THB ! Travel Period : 3 - 30 November 2018. Special Discount 100 THB / one way / person for Phitsanulok, Udon Thani, Ubon Ratchathani, Surat Thani, Buri Ram, Krabi, Trang, Khon Kaen, Phuket, Chumphon, Nakhon Phanom, Nan, Roi Et, Hat Yai, Loei, Sakon Nakhon, Nakhon Si Thammarat, Ranong, and Lampang Routes. TMB Credit Card owners: Save at Nok Air Book your flight via www.nokair.com and pay with TMB credit card (minimum spending 5,000 THB), get 10% cashback*. From 1 September – 31 October 2018. Promotion Period: 25 Aug – 31 Oct 2018.